Trials Evolution was delisted in February of 2018 on Xbox 360 according to reporting by TrueAchievements.com. The game’s Trial Version, DLC, and Xbox Avatar items remain available for sale as of June 2018. The game was likely delisted due to Ubisoft’s purchase of the Trials developer, RedLynx, in 2011. As of March 2019, some download codes for the Xbox 360 version remain available on Amazon.com. The complete PC package, Trials Evolution: Gold Edition, also remains available on Steam. 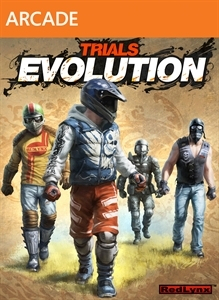 “It’s survival of the fastest with Trials Evolution! Your favorite physics-based motorcycle racer is back in a brilliant new outdoor setting. Ride in real-time multiplayer with 2-4 players, either locally or through Xbox LIVE. Enjoy a deep, rich single player career with 50 brilliant tracks, challenging unlocks, and tricky achievements.